The High Wire of Need was commissioned by Birmingham City Council as part of a four week training programme led by Lyn and her team for cross-agency professionals, including doctors, social workers, health visitors, nurses, housing officers, administrators, managers and service users. Each training day included a performance of the play, workshop sessions, discussions and Forum Theatre. 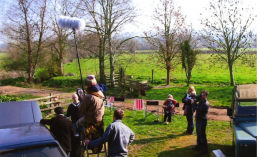 A film – Take Care – was commissioned following the success of the training in which 50 people per day took part.